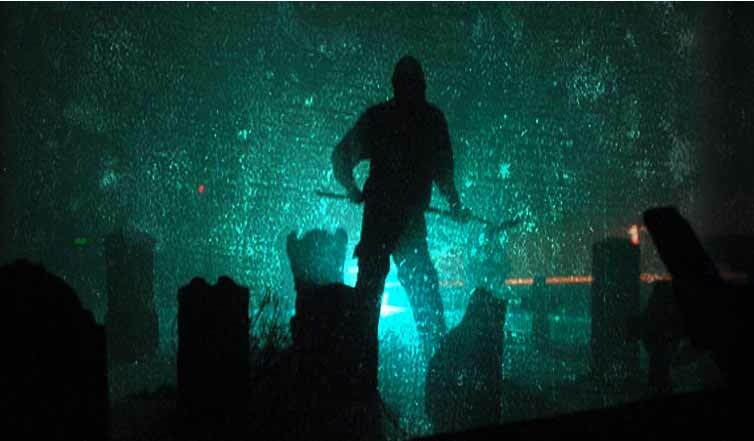 After haunting Orange County since 2009, the Empty Grave closed in 2016. 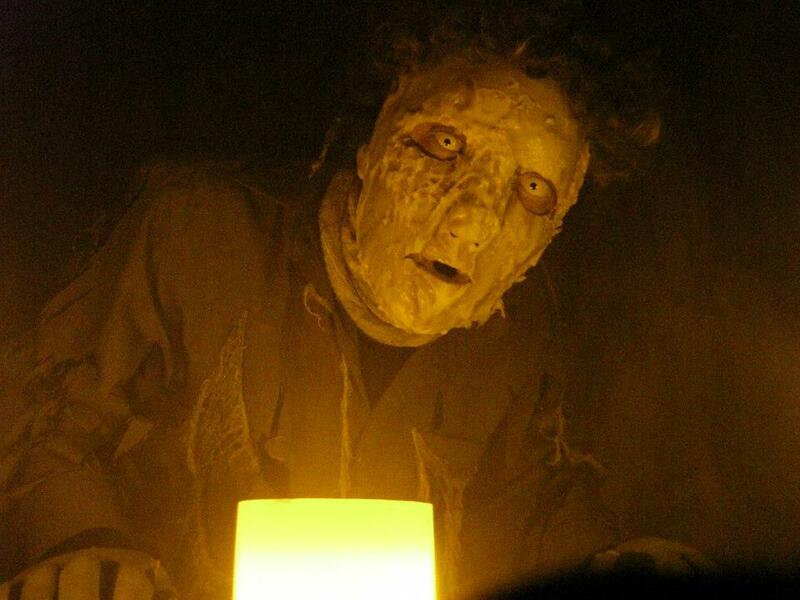 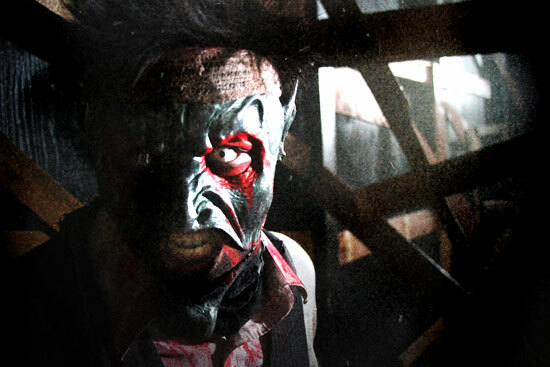 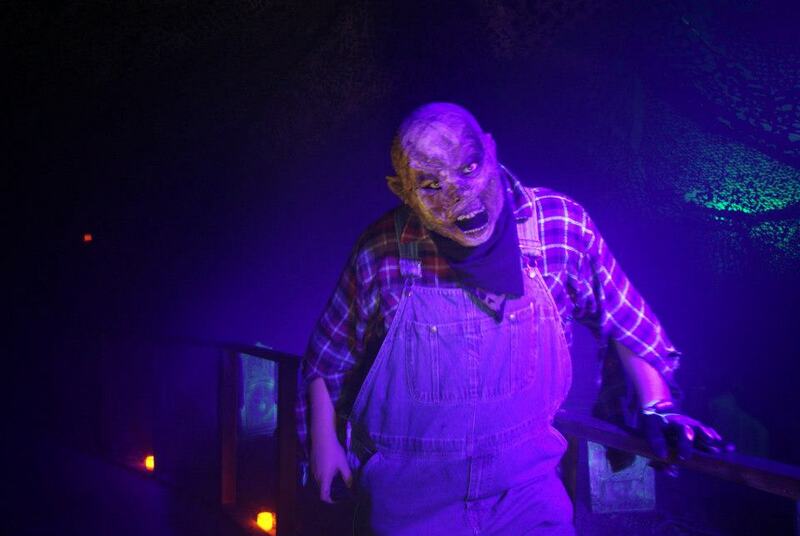 In 2018, the haunt was resurrected in Longmont, Colorado. 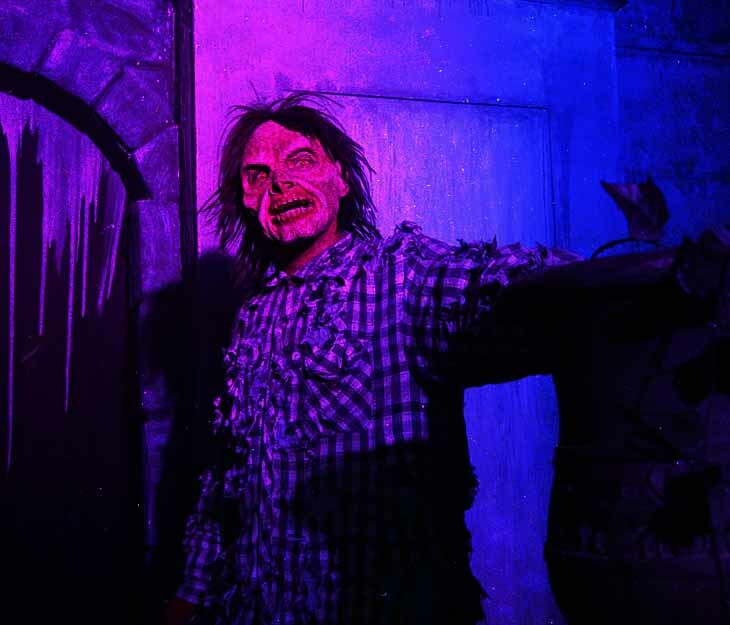 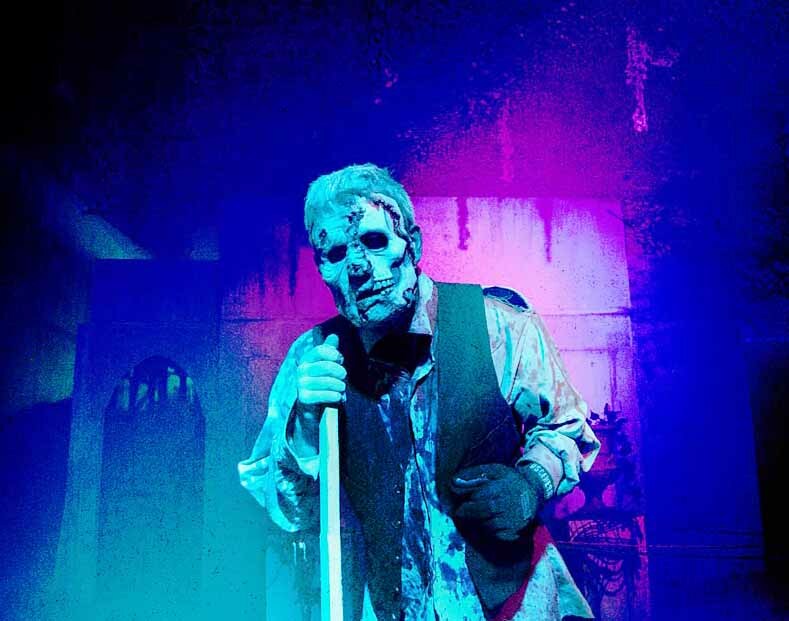 Hollywood Gothique thinks of this Orange County Halloween attraction as "the little haunt that could": it's not really little, but it has grown and evolved over the years, starting with a limited number of sets and props and gradually turning into something much more elaborate. 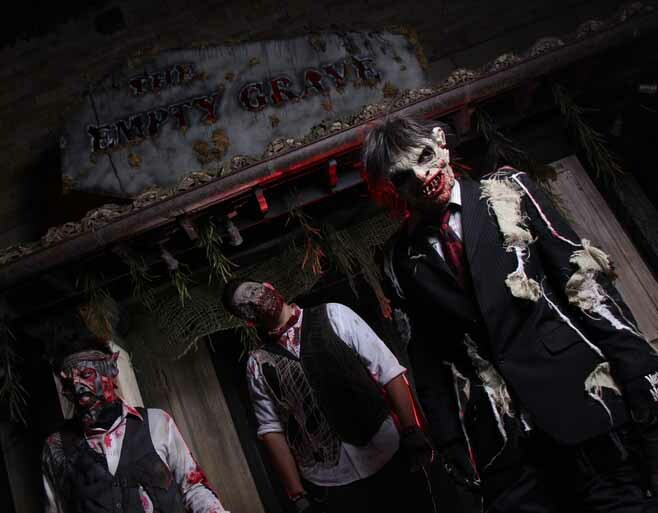 Though Halloween 2013, The Empty Grave was located in the upscale Anaheim Garden walk, a short distance from Disneyland. 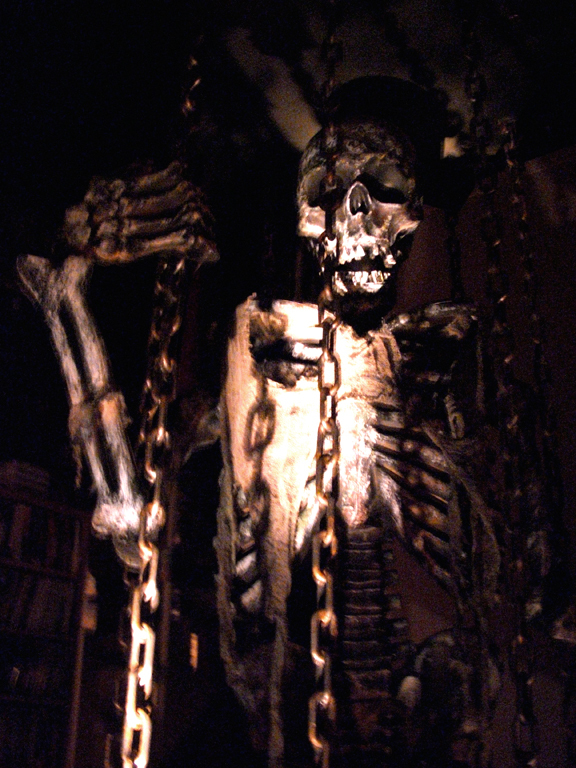 With its nightclubs, restaurants, and bars, this was the last place one would expect to visit a tour into terror. 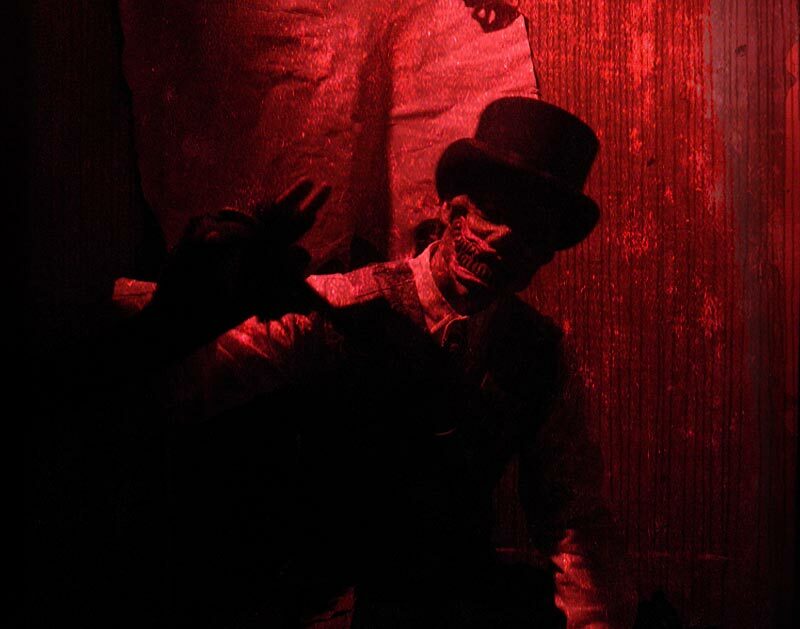 The incongruity paid off with some of the best scares taking place outside the haunt, as roving monsters harass the well-coiffed women out for a night on the town. 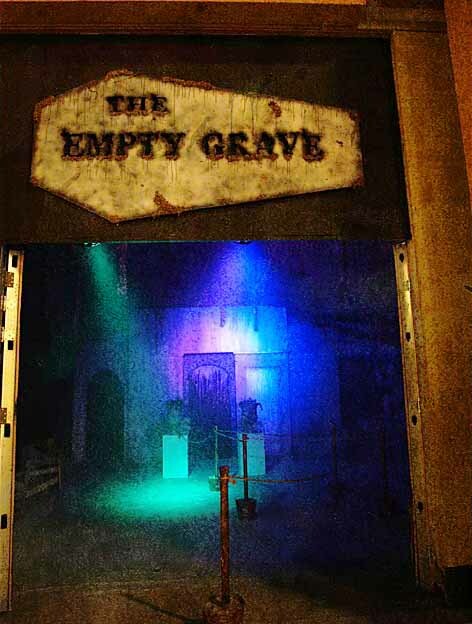 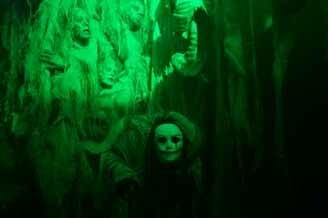 Previous incarnations of The Empty Grave were somewhat different from other Halloween attractions: The defining characteristic of the hunt's 2009 debut was its vast space ("over 50,000 square feet of terror," per the website description), which created a sense of limbo, unlike anything seen anywhere else during the Halloween season. 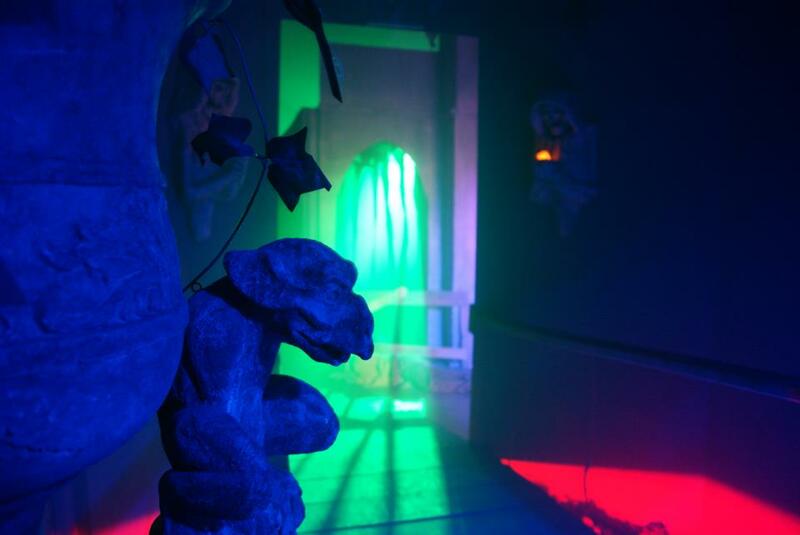 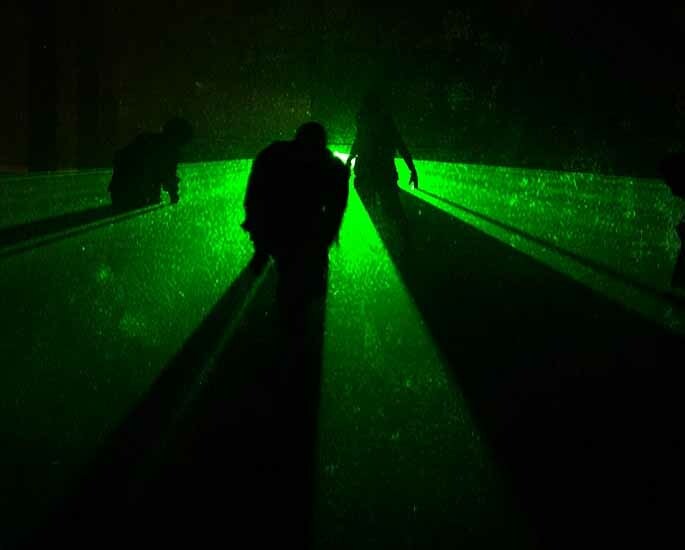 When we attended the haunt at its first location, the fog-filled layout - mostly empty, and very dark, with with dim shafts of light cutting through the void - suggested an ethereal trip through the underworld. 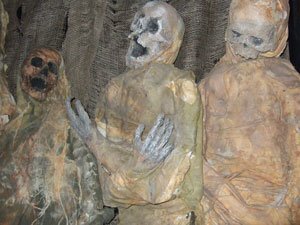 Though short on sets, the Empty Grave's unusual atmosphere lent its own unique vibe, leaving us feeling like lost travelers who had inadvertently crossed the River Styx. 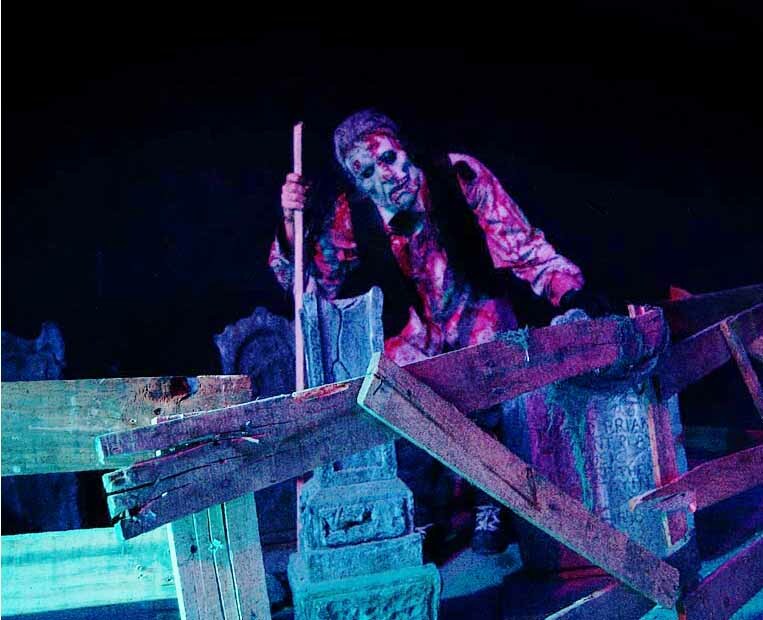 In subsequent years, the Empty Grave upgraded with more sets, props, and mechanical effects, before changing location in 2014, moving to Laguna Hills Mall. 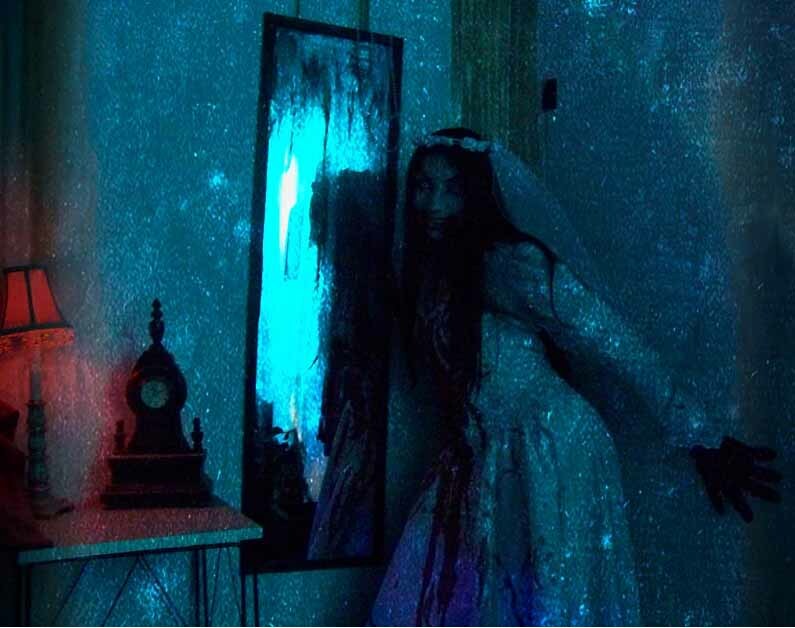 MT Grave Productions also offers customized themed events for birthdays, corporate parties, weddings, photography sessions, etc. 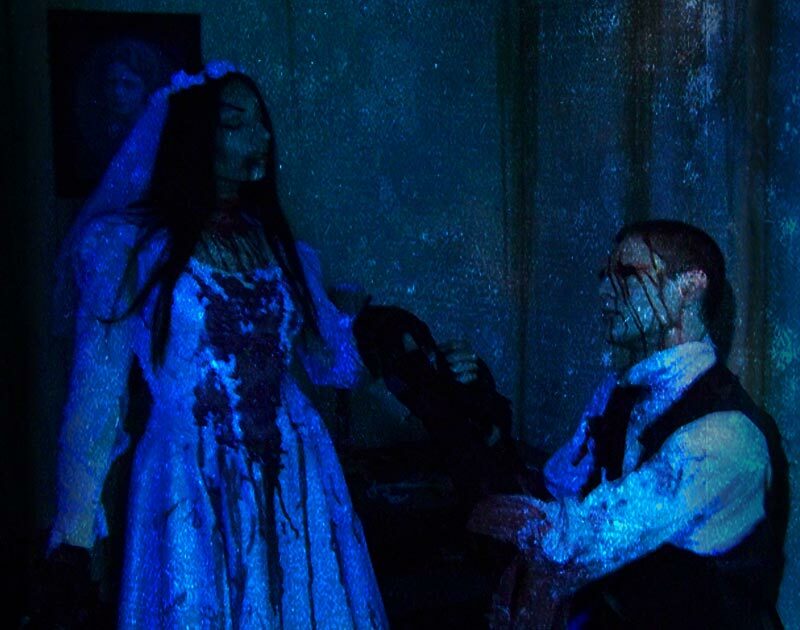 The proprietor previously ran a smaller Halloween event named "The Haunted Cellar."